Income Tax for Senior Citizens in India throws up various options for tax deductions. They can explore these options and can avail the various income tax rebates for senior citizens. Tax saving is something that every earning individual looks at, be it the fresher on the first job or a retired individual, still earning from pension or from returns on their various investments over the years. Whatever the case may be, you need to pay your taxes. If you are a senior citizen, then the structure of tax for senior citizen in India is a lot different from that of ordinary citizens. And since the tax structure varies, so does the tax saving options. So as a senior citizen, what are your tax saving options? What is the age to be qualified as a senior citizen for Income Tax purposes? Are there any specific options that are for your age? Get all these answers and much more, read on. Who is a Senior Citizen for Income Tax? An individual who has reached the age of 60 years or more is considered a senior citizen for the purposes of income tax and can enjoy the various income tax exemptions for senior citizen in India. Further, any individual who has crossed 80 years is considered to be a ‘Very Senior’ citizen for the purpose of income tax in India. What is the India senior citizen tax slab? The tax-free income from all sources a senior citizen enjoys in India is currently at Rs. 2 Lac 50 Thousand per year. Similarly for ‘Very Senior Citizens’, the senior citizen tax slab is further stretched currently up to Rs. 5 Lac per financial year. The options of tax saving that exist for every individual under the various sections such as 80 C, 80 D, 80 G etc also apply to senior citizens and very senior citizens for the purpose of tax saving in India. You can refer here and here for various options to save taxes this year. However they do enjoy higher limits, especially under the 80D tax saving options. An ordinary citizen enjoys Rs. 15,000 limit for amount invested for Health insurance, the same for citizens is at Rs. 20,000. Popularly known as SCSS, this is a scheme where in the senior citizen can have a Fixed Deposit with the bank for a lock-in period of 5 years. The maximum investment limit under this scheme is Rs. 15 Lac however for the purpose of tax saving, income tax rebate for senior citizens is up to a limit of Rs. 1 Lac and is availed under section 80C. One can prematurely withdraw from the scheme after the 1st year but at a penalty. Also if you withdraw the funds anytime midway in the 5 years time span, the tax exempted in the previous years will be reversed as the amount withdrawn will be taxed. Also the thing to note is that if your interest income from the SCSS scheme is over Rs. 10,000 then TDS is applicable and if your annual income does not exceed 2.5 Lac or 5 Lac as a senior or very senior citizen respectively, then you can submit Form 15H to avoid the TDS. This is similar to the SCSS or the Senior Citizen Saving Schemes that can be availed from the banks. Since it is a product of the Government of India, the rules and terms are the same whether you avail it through the Post Office or the Bank. The premature withdrawal rules also remain the same for the Post Office Senior Citizen saving scheme as they are for the SCSS opted with a bank. The interest rates too are around the 9% p.a. mark. TDS is applicable just like it is in the SCSS and Form 15H can be submitted here too. The concept of Reverse Mortgage may not be well known to many, but it is a great way to get extra income and not worry about tax for senior citizens in India. Reverse Mortgage is a type of loan wherein the owner of a house or property mortgages it to avail a regular income stream while still being able to occupy and reside in the house/property till he is alive or voluntarily decides to vacate the premises. The repayment of the loan is only done in such a case by selling the house/property when the owner is no longer alive or has willingly vacated the premises. There is no repayment or interest to be paid during the entire tenure since all this is settled when the property is sold under the circumstances mentioned above, and hence it is a good way to get a corpus for retirement. As per the amendment to Income Tax Act, Income from Revere Mortgage attracts income tax rebate for senior citizens. In other words any income arising out of reverse mortgaging of property is totally exempt from tax for senior citizens in India. The entire amount received as part of reverse mortgage is NOT included as income for the purpose of taxation, nor will reverse mortgaging amount to transfer of property and hence will NOT attract Capital Gains Tax. As a senior citizen it becomes more important to protect your income from tax erosion as the means to increase your income in the future are lesser than when you were younger. Also you need to build a good amount of corpus for retirement and hence you wouldn’t want taxes eating away a part of it. 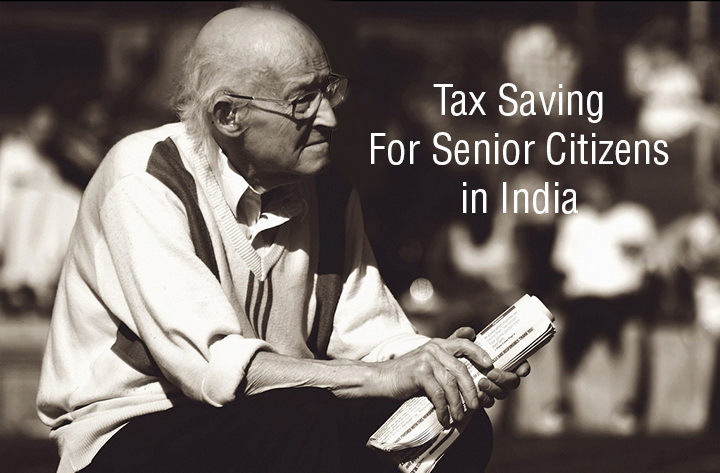 Exercise the options for saving income tax for senior citizens in India and save tax the legitimate way. Income tax exemption limit for senior citizens in India is already higher than that of ordinary citizens and also options like reverse mortgage can add to your income generating options for your Golden years.